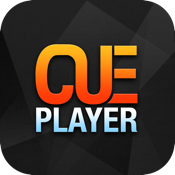 To use CUE file you need to copy your CUE file to the device. After that press the locking icon and choose your CUE file. To connect the CUE file press the √ icon. The new and improved music player for iOS. 01. Split long music into separate tracks and save them as a CUE file that act as a playlist. 02. Connect new CUE file. 03. Disconnect exist CUE file. 04. Select music from Albums,Artists,Podcasts,Songs and unique to CUE Player "Recents play". 05. "Recents play" - Every music file that you listen to is saved for later use. 07. See the exact song title name - no more "...". 08. Share the song title name over Facebook(c) , Twitter(c) and E-mail. 09. Control music when screen is locked or in background mode. 11. Improved now playing info on screen lock,including artwork. 12. Seek forward/backward with speed of x2,x4,x6,x8. All the others do the regular things. 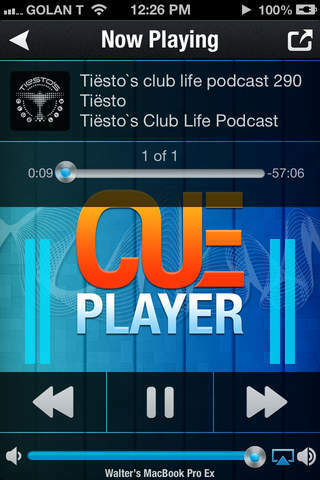 CUE Music Player Exceeds all.